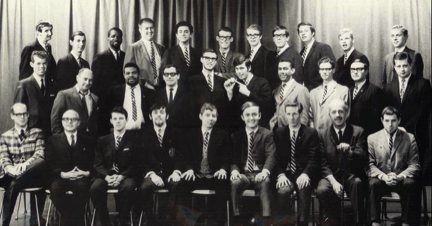 Rho Alpha Kappa (affectionately known as Rho) was one of six fraternities at Ryerson in Toronto. Rho flourished from 1958 to 1972. There were 168 members (brothers) from Radio & Television Arts, Journalism and Photographic Arts. Rho was dubbed Canada's only professional communications fraternity. 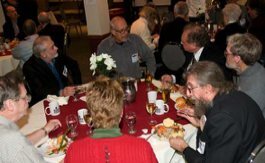 In 1972 the fraternity closed its doors and in 1983 the Rho Alpha Kappa Alumni Association was formed. 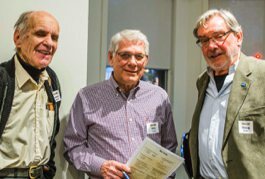 Today the alumni association holds events and activities for its members and has established an endowed fund that provides annual awards for RTA School of Media students at Ryerson. 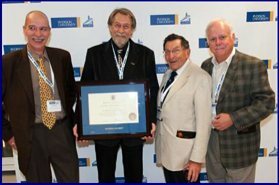 In 2010 Rho was recognized by Ryerson University. The award was for a significant achievement by an alumni group. The alumni association, along with several individuals were honoured by Ryerson for their contribution.